Superior performance and advanced tools for the most demanding clients. Automatic daily backups which you can restore at any time. 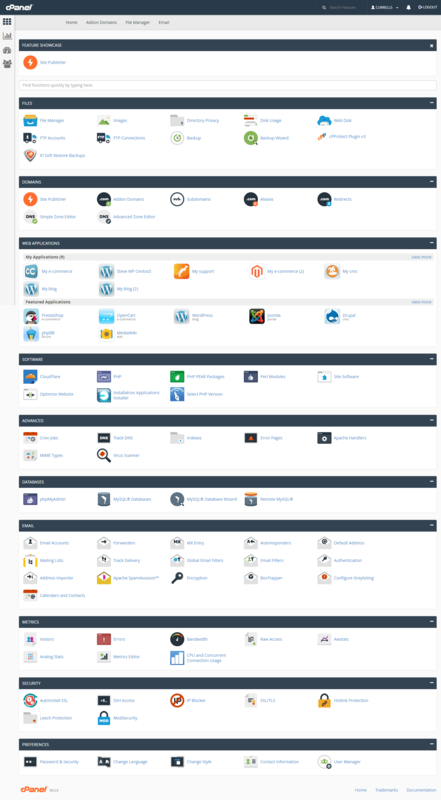 Install Wordpress, Shopping Carts, Forums, Joomla etc, all from one click install. If your host uses cPanel, we will migrate your account to Fast2host for free using our transfer tool. Prevent any unauthorized access to your data. We block common attacks such as cross-site scripting (XSS) and SQL injection to all known vulnerabilities to Wordpress etc. Fast2host owns and operates its own datacentre on-site with 24/7 support and 99.95% uptime. All customers on the server are isolated from each other so if one site goes down everyone else is still safe and stable. CloudLinux utilizes a kernel-level technology to set resource limits per tenant. This ensures a tenant can never use more than their allocated resources, giving you 99.95% uptime. App hosting with just a single click! Whether you want to create a blog, a Joomla CMS, a web forum, use a CMS, a wiki, upload to your own photo gallery, or sell online with an E-commerce store, you can do so quickly and easily through our Installatron icon within cpanel. Security patches are released fast to keep you and your customers safe. Our software monitors MySQL usage, and throttles abusers preventing them from overloading the server, improving overall stability and performance. Set individual limits for your blog, applications, and your website so that a sudden spike to one will not take down the rest of your properties. Take Advantage Of CloudFlare CDN!